"Keep all your passwords together and safe with Password Safe." With all of the applications, services, email addresses, and pretty much everything else in life that you sign up for, you have to create a password so that your information is less likely to be compromised by lurking eyes. Many of these passwords have to abide by a separate set of guidelines. Maybe you're required to include a number, capital letter, or special symbol. And before you know it your left, stuck trying to remember your exact password and the requirements for it whenever you are looking to login to your service. If you won't admit it, I will: it is hard to remember 30 different passwords that abide by 30 different set of guidelines. While there are many applications out there that you could store all of your passwords in, such as Excel, I wouldn't feel too comfortable placing a password in an application that wasn't password protected itself. Or even if it was, there are many ways to get around password protected applications. I would need something to be done with the data on the inside to insure that there are no workarounds. 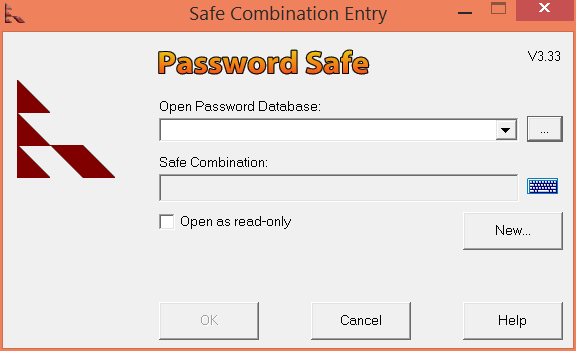 With Password Safe, the data is encrypted on the system and can only be decrypted on the same system using a password that you create. This means that there are no workarounds, because even if the data is compromised, it is left in an unreadable state that no man could understand. 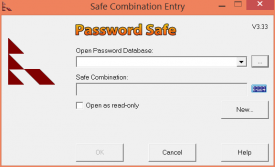 Password Safe uses a simple and to the point interface to ensure that you are able to get in and out with your password and never have to be pressured to remember it again.